Myanmar political activitist Chaw Sandi Tun has been sentenced to a six-month prison term for posting a satirical cartoon that criticized the country’s military on Facebook. 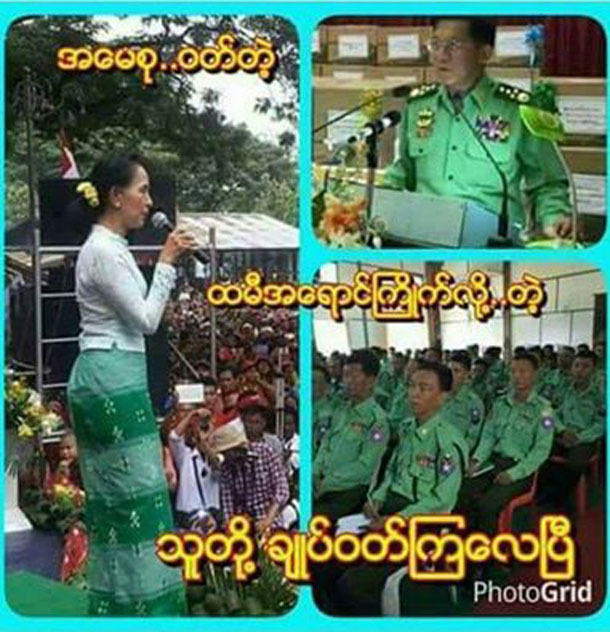 Drawing attention to the fact that military uniforms are the same shade of green as the prominent democracy activist’s sarong, Tun’s post mocked the Mynamar military and their masculinity. In response to the post, the military, which in recent years has notably increased its efforts to censor free speech, quickly took action against Tun. Tun was prosecuted under vaguely-worded 2013 telecommunications laws that prohibit the presentation of information that could “extort, threaten, obstruct, defame, disturb, inappropriately influence or intimidate,” and she faced up to 5 years in prison. 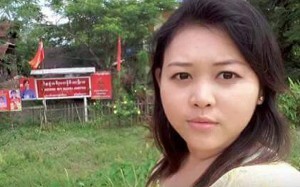 Tun’s lawyer Robert San Aung argued that she didn’t actually post the controversial image and that “her Facebook account had been hacked several times,” but Tun was sentenced to a six-month term in prison. Tun isn’t the only person in Myanmar who has been targeted by the military. With the transition to a civilian democracy in the nation, strictures on speech have loosened, and cartooning has flourished. However, cartoonists are still closely watched by the government. In a recent interview with Dateline Irrawaddy, cartoonists Maung Maung Augn and Win Augn commented on the current media landscape, noting that cartoonists “have to take a position” in politically turbulent times.